HOUSTON — Justin Verlander had a puzzling day on the mound in his first-ever start against his previous team. The former Cy Young Award recipient won 183 games as a Tiger from 2005-17 before he was traded to Houston. John Hicks connected in the second inning, a two-run shot to left center. 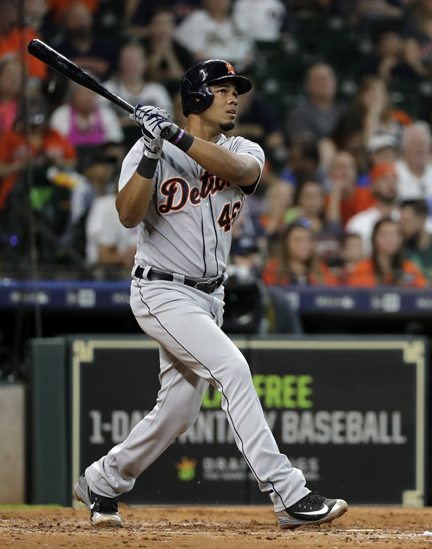 In the fourth, Jeimer Candelario blasted the first pitch he saw into the Astros’ bullpen, making it 4-2. Yuli Gurriel scored two runs and hit a sacrifice fly in the ninth for the Astros.